What Do We Have? What Do We Want? How Do We Get There? How Are We Doing? and growing the community tree resource in the City of Plano over the next 25 years. This includes improving tree health, increasing species diversity, minimizing tree risks, and identifying best management practices. The planning process began with a comprehensive review of current management practices. Also, analyses of the urban forest to understand the composition, health, and condition of the current tree resource. The UFMP recognizes and builds upon the Plano Comprehensive Plan. Plano’s community urban forest includes an estimated 1.7 million public and private trees. These trees are located in open spaces, parks, right-of-ways, city facilities, and on private property. The City of Plano is responsible for the management of more than 28,000 public trees. Optimizing the urban forest resource is important because trees serve as vital infrastructure and provide many environmental benefits. An Urban Forest Master Plan (UFMP) is a road map, which provides detailed information, recommendations, and timelines to effectively manage and grow a city's tree canopy. The structure of the UFMP is based on understanding what we have, what we want, how we get there, and how we are doing. This process is known as adaptive management and is commonly used for resource planning and management (Miller, R.W., 1988). The adaptive management model provides an excellent conceptual framework for the Plan because it provides a reasoned and transparent call to action from an inventory of existing resources. This section details the existing conditions of the Urban Forest and Urban Forest Management in Plano. Knowledge of the urban forest was drawn from 3 separate studies; a 2014 ecosystem analysis, a 2007 public tree inventory, and a 2016 GIS canopy analysis (Map 1). In 2014, data from 224 field plots located throughout the City of Plano were analyzed using the i-Tree Eco model (Preservation Tree Sources, 2014). This sample inventory process is a cost-effective method to determine the composition and benefits of an urban forest. Plano’s urban forest includes an estimated 1.7 million public and private trees. In 2007, the City conducted a tree-bytree inventory of all publicly-managed trees. The inventory identified approximately 28,000 community trees, comprising less than 2% of the overall urban forest. Throughout the UFMP, sections will clearly communicate when information is drawn exclusively from one report. urban forest is more than $1.6 billion. Along with an aesthetic contribution, these trees provide valuable and critical services to the community including benefits to air quality, water quality, energy savings, wildlife habitat, and socioeconomics. In total, Plano’s urban forest provides roughly $11.4 million in environmental, economic, and infrastructure benefits every year. In addition, the urban forest currently stores over 1.2 million tons of carbon, valued at $44 million. The 2015 urban forestry services budget was $1.8 million. Map 1, Land Cover: Plano's land cover was mapped by 5 distinct land cover classes. All areas on the map that are blue represent open water. This section identifies the goals that support the three areas of focus by addressing existing conditions, challenges, and opportunities. Vital components of the UFMP are: Set and pursue canopy cover percent goals. Adopt best management practices through oversight and staff training. Standardize and continually update pest-management practices, especially in regards to the Emerald Ash Borer. Establish a 4-7 year routine pruning cycle to inspect and provide regular maintenance for all publicly managed trees. Create a program to remove and replace median trees every 30-35 years. Enhance and maintain the City urban forestry webpage. Foster relationships to collaborate with volunteers, nonprofits, city officials, businesses, citizens, and researchers. HOW ARE WE DOING? This section provides a framework to evaluate forestry programs. The success of the UFMP will be measured through the effective implementation of priority actions, and demonstrated through increased value and environmental benefits in the community tree resource. Implementation of the Plan requires continual monitoring, analysis, and revision. Perhaps the greatest measurement of success for the UFMP will be its level of success in meeting community and stakeholder expectations for the care and preservation of the urban forest. 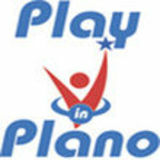 Introduction Plano’s Parks and Recreation, Planning, and Engineering departments were established in 1968. Several parks host historic trees that have been preserved since pre-settlement days. Urban forest management is the responsibility of Plano's Urban Forester, a full-time employee in the Department of Parks and Recreation. The UFMP includes both long- and short-term actions in support of these ends. The plan provides specific goals and actions for managing community trees, preserving and increasing canopy cover, and improving community outreach. varied and includes bobcats, fox, frogs, lizards, rattlesnakes, possums, coyotes, white-tailed deer, and striped skunks. Managers strive to manage prairie wildlife in the context of a developed urban environment. Plano has a well-earned reputation as a highly desirable principal city in the Dallas-Fort Worth Metroplex. Plano provides residents and visitors with an expansive selection of antique shops, boutiques, outlet malls and large indoor malls. Plano also has quick access to many nearby amusement parks and museums. In addition, Plano contains over 4,000 acres of green space for picnics, swimming, golf, and tennis. The park system is laced with nearly 80 miles of hiking and biking trails. Plano History Incorporated in 1873, the first pioneer to settle in the Plano area was McBain Jameson, who was issued a conditional certificate on January 2, 1840. The city was incorporated in June, 1873, and the town's first official mayor was C.J.E. Kellner. By 1874, the population of Plano reached over 500. Buildings and business flourished in the 1880's as the city became known for a wide array of goods and services. From 1900 to 1960, Plano averaged an increase of about 400 new residents per decade. By 1960 the Plano population had reached 3,695. Factors contributing to population increase included the growth of Dallas and migration to the Sun Belt. By 1970, the population of Plano had grown to 17,872, and by 1980, it had exploded to 72,000. During the 1980s, many large corporations moved their headquarters to the city, including J. C. Penney and Frito-Lay, which encouraged further growth. Today, 15 private companies in Plano employ over 1,000 employees each. These corporate campuses offer a rich opportunity for increased tree canopy through sustainable landscaping. By 2000, the population grew to 222,030, making it one of the largest suburbs of Dallas. Today, Plano is surrounded by other municipalities and can no longer expand in area. There is little undeveloped land within city limits. Benefits Calculating Tree Benefits Communities can calculate the benefits of their urban forest by using sample data in conjunction with the USDA Forest Service i-Tree software tools. This state-of-the-art, peer-reviewed software suite considers regional environmental data and costs to quantify the ecosystem benefits unique to a given urban forest resource. Individuals can calculate the benefits of trees to their property by using the National Tree Benefit Calculator (www. treebenefits.com/calculator) or with i-Tree Design (www.itreetools.org/ design). Trees intercept rainfall in their canopies which reduces and thus slows runoff. In addition to capturing stormwater, canopy interception lessens the impact of raindrops on bare soils. Tree roots can also increase the capacity and rate of soil infiltration. Through interception and soil infiltration, flow and volume of stormwater runoff is reduced. This mitigates sediments and other pollutants from entering the local waterways and helps reduce the strain on engineered stormwater infrastructure. Trees protect and improve air quality by intercepting particulate matter (PM10), including dust, ash, pollen, and smoke. The particulates are filtered and washed harmlessly to the ground. Trees and forests absorb harmful gaseous pollutants like ozone (O3), nitrogen dioxide (NO2), and sulfur dioxide (SO2). Shade and transpiration reduces the formation of O3, which is created during higher temperatures. By reducing energy needs, trees reduce emissions from the generation of power. And, through photosynthesis, trees and forests increase oxygen levels. Commercial landscaping that includes trees creates positive economic benefits for retailers and customers. There is documented evidence that trees promote better business by stimulating more frequent and extended shopping and a willingness to pay 11% more for goods (Wolf, 2007). Shade from trees reduces the amount of solar heat absorbed and stored by impervious surfaces, thus reducing the heat island effect, (an increase in urban temperatures relative to surrounding locations). Through shade and transpiration, trees and other vegetation within an urban setting modify the environment and reduce heat island effects. Temperature differences of more than 9°F (5°C) have been observed between urban areas with and without canopy cover (Akbari et al, 1992). Trees and forests directly reduce CO2 in the atmosphere through growth and sequestration of CO2 in woody and foliar biomass. Indirectly, trees and forests reduce CO2 by lowering the demand for energy and reducing the CO2 emissions from the consumption of natural gas and the generation of electric power. Greenhouse gases (GHGs) absorb infrared radiation from the sun and trap this heat in the atmosphere, increasing the temperature of the Earth’s surface. Thus, trees are vital to the management of GHGs and planetary temperatures. Research shows that access to natural greenery at care facilities has a positive impact on hospital patients. Patients recovering from surgery showed reduced reliance on medication and quicker recovery when their recovery room had a view of trees (Ulrich, 1984). Patients with plants in their room displayed less fatigue, pain, and anxiety, and shorter hospitalization times in a more recent study (Park, 2009). Research from Columbia University found childhood asthma rates were highest in cities where tree density was lowest. The rate of asthma fell by 25% for every extra 340 trees per square kilometer. Crime A 2012 study of crime, such as burglary and vandalism, by Donovan and Prestemon found that trees in the public right-of way were associated with lower crime rates as long as the trees did not obstruct lines of sight for security and law enforcement personnel. This study reinforced similar findings by Kuo and Sullivan in 2001, whose study focused on inner-city areas. The authors speculated the trees indicated to criminals the house was better cared for, and therefore, subject to more effective authority than a comparable house with fewer trees. Walkability Trees provide shade, windbreaks, natural aesthetics, and clean air for recreation which offers community members options to engage in regular physical activity for recreation. Texas has the nineteenth highest adult obesity rate in the nation at 31%, up from 21.7% in 2000 and 10.7% in 1990 (TAH 2015). This puts residents at increased risk of chronic diseases, costing billions of dollars in annual medical costs. Short-term, regular, physical activity is associated with a significant reduction in health risks, even when there is no apparent loss in mass (Ross, 2008). Neighborhood character has a significant effect on residents’ physical activity, with nearby parks and abundant green space linked to healthier residents (Maas, 2006). What Do We Have? of this magnificent tree and recognized the history of the land surrounding it at Plano’s 2002 Arbor Day Celebration. tree sprouts, in what will be Bob Woodruff Park. Planning & Engineering Departments are founded. 1928 The formal dedication of Haggard Memorial Park. Tree City USA in 1989. Recreation Achievement Award from the U.S. Department of the Interior. use of volunteers to supplement inventory efforts has proven to be a valuable resource in public tree management. With the aid of a matching grant from the Texas Forest Service, a GISbased tree inventory was created with a custom data dictionary built with CITYgreen v5. Equipped with this comprehensive tree inventory, the City of Plano reached out to experienced foresters for appraisal input, and was able to put a value on their tree resource. Plano contributed this tree inventory data for the development of the i-Tree regional canopy study, which prioritized planting areas. Texas Recreation and Parks Society Gold Medal Award. its first USDA Forest Service Growth Award. using trees and plants for bio-retention to reduce storm water mitigation. She initiated the tree purchase price agreement with local nurseries to begin a replacement tree planting program with the Parks Districts and has initiated multiple tree planting projects in the parks and medians. Partnered with the Texas Trees Foundation and local corporations to reforest Bob Woodruff Park. professional development of tree crews. 1998 City of Plano establishes its Tree Protection Ordinance. Study of the Plano Urban Forest. 33% of park and open space areas. The assessment identified an additional 1,139 acres of potential plantable area, indicating that park and open space areas have the potential to support a total of 60% tree canopy cover. Map 2, Council District Canopy: Plano was mapped by the percentage of tree canopy cover relative to the total area of city council districts. Forest Fragmentation Forest fragmentation analysis can help managers understand the spatial distribution and connectivity of urban forests (Map 3). Fragmented forests can significantly affect plant and wildlife populations, forest biodiversity and health (Nowak et al. 2005). Most of Plano's urban forest is patch forest. This finding is logical because Plano is located on prairie which originally had a minimal tree presence. As explored later in this report, several of the most populous tree species in Plano are non-native to the Plano/Dallas-Fort Worth area. Because of it's prairie origins, Plano is unique relative to other communities because the arrival of humans and urban development led to an increase of trees. Strategic planting near core areas can greatly benefit forest ecosystem function and increase wildlife habitat and corridors. The analysis found that Plano's urban forest includes the following: 8,818 acres (91.2%) of Patch Canopy: Tree canopy of a small-forested area surrounded by non-forested land cover. An example would be street trees, surrounded completely by the built environment. 821 acres (8.5%) of Perforated Canopy: Tree canopy that defines the boundary between core forests and relatively small clearings (perforations) within the forest landscape. 29 acres (0.3%) of Core Canopy: Tree canopy that exists within and relatively far from the forest/non-forest boundary (i.e., forested areas surrounded by forested areas). 0 acres (0%) of Edge Canopy: Tree canopy that defines the boundary between core forests and and large nonforested land cover features. When large enough, edge canopy may appear to be unassociated with core forests. The wildlife of Plano requires especially careful attention because the native wildlife is originally adapted to the historical prairie environment. Map 3, Forest Fragmentation: Plano's existing UTC fragmentation was analyzed to discover the distribution of canopy. Often, the health and diversity of the overall canopy will vastly improve by creating linkages between multiple patches of forest. PLANO Canopy Cover By Park Map 4, Park Canopy: Plano's parks were mapped by the percentage of tree canopy cover relative to the total area of parks. Land Cover was assessed for 84 parks covering 4,208 acres in Plano (Map 4). The parks include those managed by government agencies and by private entities such as nature preserves, museums, and golf courses. Parks and open space areas contain a 33% tree canopy cover with the potential to support 60% tree canopy cover. Planting additional trees in parks and open space can be an efficient way to increase overall citywide tree canopy cover because there is often existing irrigation and ongoing maintenance resources. An urban forest is a living and dynamic resource, which changes over time in response to its environment. The health and stability of the urban forest can be influenced by many factors including pruning, irrigation, climate fluctuations, emerging pests and disease, as well as development and new tree planting. Annual benefits are based on the composition (size of trees, number of trees, condition, and species) of the current inventory. Maximizing the use of available planting space by gradually increasing the stocking level will increase the overall benefits over time. Where space allows, every effort should be made to plant large-stature species as greater canopy cover and density are the key drivers of environmental benefits. In addition to filling vacant planting sites, it is important to plan for the replacement of existing mature trees and species that are being phased out of the inventory. Sustainability A sustainable urban forest is more resilient to pests, disease, and climate fluctuations, and as a result, healthier and more cost effective. As urban forests evolve over time, managers revise species recommendations based on past performance and emerging prospects. Because trees are relatively longlived organisms, urban forests are often a combination of welladapted, high-performance species mixed with some species that may have proved less desirable. Proactive urban forest managers often phase under performing species off the plant palette in favor of established performers, and promising new cultivars. In some cases, less desirable species are identified and systematically, strategically removed as they reach the end of their useful lives. Planting native and adapted species is a good strategy for building a sustainable urban forest. The urban environment presents many challenges to tree health, including restricted planting sites, poor and compacted soils, pollution, and water limitations. Selecting the appropriate species can help control maintenance costs, reduce damage to infrastructure, and manage the need for pest and disease control measures. A diverse population can significantly increase overall performance and resiliency in the urban forest. While it may seem reasonable to rely heavily on native species, it is important to recognize that no species is native to the urban environment. Selecting the â&#x20AC;&#x153;right tree for the right spotâ&#x20AC;? requires consideration of multiple factors, including site and soil characteristics, irrigation infrastructure, landscape goals, and tree density. A diverse population can help to minimize detrimental consequences in the event of storms, drought, disease, pests, or other stressors that can severely affect an urban forest and the flow of benefits and costs over time. There is a widely accepted rule that no single species should represent greater than 10% of the total population, and no single genus more than 20% (Clark et al, 1997). At the species level, both cedar elm (Ulmus crassifolia, 12.82%) and common hackberry (Celtis occidentalis, 11.55%) exceed this standard. Public Trees A 2007 public tree inventory collected information on all 28,405 public trees in Plano. This 2007 inventory data only includes public (city-managed) trees. Thus, the 2007 inventory includes only trees that are subject to maintenance and management by the City of Plano. These public trees were inventoried to determine species, condition, diameter, type, and height. Two thirds of the inventoried trees are in “good” condition (18,888), and a quarter were categorized as being in “fair” condition (7,738). Only approximately 7% of inventoried trees categorized as poor or in need of removal. 24,423 of the 28,805 inventoried trees (86%) are deciduous, while 2,073 (7.3%) are evergreen. Increasing the proportion of evergreen trees will foster more shade and wind-breaks in the fall and winter seasons, and yield positive impacts on building energy use, and walkability. Species The most common species of tree were cedar elm (3,642), common hackberry (3,280), and crape myrtle (2,781). Together, these three tree species represent over a third of all trees in the 2007 public tree inventory. Both the cedar elm and the common hackberry exceed the 10% recommended threshold. Future tree planting efforts should diversify species selection to mitigate risk of impacts to the urban forest resource. Trees were cataloged into 3 different height categories; based on the mature stature of that tree species. Inventoried trees with no height data were labeled as “no info”. Of all inventoried trees, 71.47% were categorized as “Large”. The vast majority of the inventoried trees (71.06%) have a 10 inches diameter at breast height (DBH). Of all the inventoried trees, only 62 (less than a quarter of a percent) had a DBH over 40.5 inches. Existing Urban Forest Practices Plano manages the urban forest through a coalition of public, private, non-profit, and community partners. The existing management framework below describes the budget structure, staff training, maintenance practices, and tree acquisition components of the urban forestry program in Plano. Street Trees Plano’s government has a policy that requires streets to be convenient and comfortable for all users of ages and abilities. Elements include street trees and sidewalk furnishings that increase shade increase walkability, pedestrian safety, better air quality, and reduced heat island effects. Foundation. The Plano urban forest produces $11,458,858 in environmental benefits and is maintained with an annual budget of $1,834,297, which represents a 6.25x return on investment. Plano has a history of successful grant proposals, which provide additional funds for tree planting, management, and preservation. Recently, Plano won the Governor’s Community Achievement Award. Staff and Training Plano’s public trees are primarily maintained by the Parks and Recreation Department. Currently, Plano does not require the maintenance and support crews operating on trees to be ISA certified. In 2015, 85% of public trees were maintained by Plano employees, while 15% were contracted workers. Currently, landscape maintenance workers prune small trees in Plano, but there is no formal training on structural pruning. Stakeholder interviews with department superintendents and district supervisors emphasized the need for uniform training, especially structural pruning. The maintenance industry experiences significant employee turnover, so continual training is vital to protect Plano’s urban forest. What Do We Have? pruning is for clearing purposes based on code requirements. Maintenance enforcement of private trees are reactive, based on public request. Maintenance is important at all stages of tree life, but is especially critical for young trees. For instance, young trees benefit greatly from early structural pruning and training. Minor corrections, such as removing double leaders or crowded branches, can be conducted at ground level with minimal cost when a tree is young. However, if left unattended, defects can evolve into very expensive structural issues and increase the risk of failure as trees mature, at which point it may be impossible to correct the issue without causing greater harm. Plano has an abundance of median trees, many of which were planted in the 1990s. These trees initially thrived, but many are becoming too large for the soil footprint of the median. Due to increasingly frequent maintenance requests, tree removal may be the most prudent option. Currently there is no plan for the removal and replacement of median trees. Stakeholders proposed that median trees be treated as a crop which is harvested approximately every 35 years. Potential uses abound on how to make use of these trees: create bark chips for playgrounds, donate the wood to a local non-profit such as Habitat for Humanity, and more. No Standard Operating Procedure (SOP), Inspection Program (IP), or Priority Operation Flow Chart (POFC) presently exist. Maintenance and management stakeholders emphasized the lack of these formalized management tools. These programs would serve as a resource for crews in the field. Tree maintenance business practices are not integrated with the Plano Core Business Matrix Task Assignment (CBM) software. Incorporating tree maintenance into the CBM would facilitate a better understanding of financial breakdowns, in particular the costs and benefits of a project. Tree Acquisition and Quality Control Quality seedlings and healthy young trees are fundamental to the quality and longevity of the urban forest. Trees that are improperly maintained at nurseries can experience lasting health consequences years after they are purchased and planted by Plano. A common affliction caused by improper nursery care is the formation of circling or girdling roots. A tree is girdled when something is tightly wrapped around the trunk or stem. If a growing tree remains in a container for too long, the roots will grow in a curve around the inside of the container. As the tree grows, the problem compounds as the girdled roots choke other roots. This causes a decline in the flow of nutrients and eventually a decay of tree health. Because root girdling can kill a tree many years after it is planted, this condition can be costly. The urban forester emphasized that a nursery stock quality assurance program could address this problem. There also exists no other formalized relationship between Plano and alternative sources (co-ops, academic tree farms, etc.) for trees. These alternatives to conventional private nurseries offer the opportunity to grow trees to a higher standard, and offer supply chain flexibility to Plano. Regulatory Framework State Law Texas has few state laws regarding urban trees - the majority of their laws refer to wild lands and agriculture. Other than the standard good neighbor ordinances, which specify that a neighbor can prune a tree that overhangs their property, but not damage or kill it, the state lets municipalities determine the necessary ordinances to develop for their community. One area that is regulated; the trade and application of pesticides. The Texas Department of Agriculture (TDA) is designated as the state’s lead agency in the regulation of pesticide use and application. The TDA is responsible for licensing and training pesticide applicators, overseeing worker protection, registering pesticides for sale in the state and working to minimize unnecessary impacts to agriculture while enhancing protection of endangered and threatened species. In 2017, House Bill 7 was signed into law. The bill allows property owners to offset municipal fees for removing trees on their land by planting new trees in their place. for all zoning districts. Article XVII provides very detailed tree preservation specifications for all zoning districts. Article VI, Section 15 specifies that it is illegal to remove (excluding parkway trees), cut, break, injure, or attach objects to any public tree without permission of the Director of Parks and Recreation. Article II, Section 21-17(2) specifies that it is illegal to injure or destroy waterworks system trees. Article IV, Section 19-75(d) specifies that every agency and public infrastructure contractor shall protect trees during work in the rights of-way. Threats to The Urban Forest Climate Change Future climate projections include higher temperatures and less summer precipitation. This new climate regime will have impacts on Plano's urban forest. Recent heat waves and extreme drought provide a preview of possible longterm impacts of shifting climate patterns. This pattern was fully evident in 2011, when exceptional drought and recording-setting temperatures occurred in Texas. (NCA2014, 2014). Many locations in Texas experienced more than 100 days over 100ÂşF. This set new records for the hottest summer since record keeping began in 1895. Rates of water loss due in part to evaporation were double the long-term average. The heat and drought depleted water resources and contributed to more than $10 billion in direct losses to agriculture alone in southern states. In the future, average temperatures in this region are expected to increase and will continue to contribute to the intensity of heat waves. A successful urban forest will require resilient trees equipped with advanced irrigation systems. larvae feed on the vascular tissue of trees, and populations grow exponentially. A May 2016 report by the Texas A&M Forest Service confirmed that EAB has been detected in Texas. The only option available to save the life of an ash tree is pesticide application. EAB has the potential to affect 5.9% of Plano's tree population, a $36 million loss. Protecting trees from pests warrants the development of Integrated Pest Management (IPM) plans. IPM is a commonsense method to manage pests. Landscapes are monitored regularly, potential problems are properly identified, severity of impacts are considered, control options are evaluated; and then, solution strategies are implemented. Pest prevention and remediation options include: cultural (plant native and pest-resistant trees), diagnostic (proper identification of the problem), mechanical (physical impediments to pests), biological (encourage beneficial predators), chemical (measured use of pesticide). Plano's urban forest is managed by the City of Plano in partnership with academic institutions, nonprofits, and private property owners. Each of these urban forest stakeholders has different responsibilities and brings unique resources to Plano's urban forest. City of Plano For developers, navigating tree regulations and landscaping requirements can be challenging. Fortunately, the Plano city staff provide help with the development review process. Currently, the landscape guidelines for the City of Plano are under review. The municipal urban forester primarily works within the Plano Parks and Recreation Department. However, the department commonly consults with related departments, such as Planning, Public Works, and others, when tree topics arise. This can also lead to interactions with community members and stakeholders with different perspectives. The Municipal Forester collaborates with other departments and discusses tree-related issues with property owners and the general public. This typically takes place through one-on-one interactions. The motto of the Texas Trees Foundation is “The Greening of North Central Texas”. The Foundation maintains a tree planting initiative for neighborhood parkways and medians, schools and other public open spaces, a tree growing space to assure a healthy supply of trees for the future, and multiple education programs to teach the importance and benefits of maintaining a healthy urban forest. The Texas Trees Foundation collaborated with Plano on the "ReTree the Park" campaign; to gather sponsors for 125 new mature trees for Plano's Bob Woodruff Park. Texas Urban Forestry Council The Texas Urban Forestry Council (TUFC) serves as a forum for education, professional networking, and advocacy for those interested in impacting the community forests of Texas. The vision of the TUFC is to foster cooler, greener, forested communities throughout Texas. TUFC aids in the development of educational programs that encourage proactive stewardship in community forests. The Texas A&M Forest Service (TFS) conserves and protects the resources and lands of Texas. TFS is unique because it is one of the few state forestry agencies that was established as part of a land-grant college. To conserve Texas’ trees and forests, the state agency helps property owners maintain land and natural resources. TFS provides a network of urban foresters across the state. These urban foresters monitor, measure, and assess changes to the state’s urban forests over time and help provide urban forestry educational opportunities. Texas A&M Agrilife Extension The Texas A&M AgriLife Extension Service is an education agency with a statewide network of professional educators, trained volunteers, and county offices. This unique network allows the program to help every Texas county to address local priority needs. Major efforts include; mitigating drought impacts; conserving water use in homes, landscapes, and production agriculture; improving emergency management; enhancing food security; and protecting human health through education about diet, exercise, and disease prevention and management. To ensure adequate care and maintenance cycles, the City will need to optimize funding from existing sources including the Tree Mitigation fund, as well as researching and applying for grant funding and other new resources. What Do We Want? component of the urban forest resource. Stakeholder and Community Input Plano and Davey conducted substantial outreach to public stakeholders, residents, and non-profit agency stakeholders. This outreach provided a list of challenges that face Planoâ&#x20AC;&#x2122;s urban forest. Stakeholders from Neighborhood Services and Sustainability noted that the current practice is to apply these grant awards piecemeal to different locations, and believe a comprehensive long term plan for applying the grant money could provide even greater benefits. public tree maintenance and locations where additional trees are desirable. They also discussed what types of education and outreach they would like to see along with ways to incentivize tree preservation and planting on private property. What Do We Want? and outreach. The complete survey and results are available in the Appendix. When asked to rank the environmental benefits of the urban forest, respondents expressed the greatest appreciation for air quality benefits, with 54% indicating that it is the most important benefit, followed by wildlife habitat (25%) and energy savings (9%). When asked what they most appreciated about trees in daily life, beauty/aesthetics was the most valuable trait to 54% of the respondents. Plano respondents overwhelmingly support more trees in their community. 87% stated that Plano needs “more trees”. 9% voted for the “same amount of trees”. The remainder stated that they don’t know or were unsure. The survey offered four choices for level of satisfaction with current Plano urban tree maintenance. Responses regarding satisfaction with the current level of maintenance provide for Plano’s urban trees generated many additional comments. The majority (52%) stated that they are satisfied. Among locations where public trees should be planted, parks (71%) and open space/natural resource areas (71%) were most supported, with streetscapes (70%) close behind. Downtown street trees received 43% support. Schools and school routes received numerous mentions in the additional comments. The most supported type of tree education and public outreach that respondents wanted to see offered was information about how to pick the best tree for their location (76%), while seminars and workshops received the least at 38%. The comments supported tree giveaways and education on native species. Eighty-seven percent (87%) of respondents "strongly agree" that public trees are important to the quality of life in Plano. Ninety-three percent (93%) of respondents "agree" or "strongly agree" that Plano needs more public trees. The most popular location for more trees is in parks (77%), followed by trails and bike paths (62%), open space areas (61%), and streetscapes (61%). The following section provides the details for each of the UFMP goals. Each goal is aligned with the area of focus that it most closely supports. A complete listing of objectives is detailed for each goal along with a comprehensive set of priority actions that will guide urban forest managers and administrators towards achievement of the objective. The UFMP identifies appropriate resources to adequately manage the communityâ&#x20AC;&#x2122;s urban forest. The Plan is a dynamic tool that can and should adjust in response to available resources and changes in community expectations. Regular review for the UFMP is necessary to integrate objectives and action strategies into annual work plans. The primary concern is the management of median trees, which need to be replaced every 30-35 years. Priority planting locations demonstrate the areas where new trees will yield the highest benefits (Map 5). Map 5, Planting Priority: To identify planting areas that will return the greatest and most diverse benefits to Planoâ&#x20AC;&#x2122;s community, the individual categories of Urban Heat Island Priority, Stormwater Priority, and Environmental Need Priority were mapped. Each of which was used to create individual grids that were assigned a value between 0 (zero) and 4 (four) equating to priority planting levels from Very Low to Very High, for that specific category. By overlaying these three maps and adding the values at each point, a composite priority planting scale was developed. This overall composite scale was mapped to display the highest priority planting areas. This analysis prioritized the 1,139 acres of potential plantable area in Plano. Plan Goals Based upon review of the current urban forestry program and resources (What Do We Have?) and input from the community and other stakeholders, the UFMP identifies 9 goals that represent what we want for the future of Planoâ&#x20AC;&#x2122;s community urban forest. Planting new trees and replacing those that are removed is critical to the sustainability of the community urban forest. Planning this process promotes a stable benefit stream and gradual replacement can reduce the impact of tree loss, especially in older neighborhoods where there is often a greater percentage of mature trees. Planning also ensures that the right tree is planted in the right place. Identify and secure funding, both short-term and longterm (sustainable), for the establishment, preservation, and maintenance of public trees in Plano. Possible sources include, but are not limited to: general fund, assessment districts, corporations, developer contributions, and other state, federal, and local sources. The goals and objectives are intended to direct management of the Cityâ&#x20AC;&#x2122;s urban forest in a timely, cost-effective, and efficient manner. In addition, the UFMP considers objectives for growing the current resource through tree planting programs that will ensure the future stability of the resource and the maximization of environmental, social, and economic benefits from trees and tree canopy. Finally, the UFMP identifies that community engagement is essential to successfully achieving the goals and objectives for the future of Planoâ&#x20AC;&#x2122;s urban forest. Consequently, the UFMP includes well developed objectives for public engagement, outreach, and education. Support the development of programs, activities, and materials that increase community awareness and appreciation for the urban forest and trees in general. Community support begins with outreach. Improve overall forest health (structure and composition), preserve and enhance existing tree canopy, and thereby provide the foundation for sustainability of the resource and maximization of urban forest benefits. Current pruning and planting standards apply specifically to contractors engaged in tree care operations on public trees. The UFMP updates these standards and applies them to all individuals and agencies engaged in tree care operations affecting public trees in Plano. Promote new relationships and strengthen existing ones with nonprofits, business groups, volunteer organizations, and individuals who share vision and goals for Plano's urban forest through collaboration with the many businesses and corporate headquarters. Increase training resources for the urban forestry group A successful urban forestry program requires a staff equipped with the knowledge and training to best care for trees. This training requires an investment, and this goal is intended to optimize the acquisition and allocation of resources to provide the urban forestry group with the resources needed to effectively manage the urban forest. Optimal Organization of Forestry Staff Increase the scope and authority of the urban forester to better manage the urban forest resource. Align the vision for Plano's community urban forest with existing plans, community values, and other long-range goals. For example, aligning the Plano Tomorrow Plan with the Parks Master Plan update. In0crease the capacity and efficiency of urban forestry management through the collection of relevant data. Collecting this data will aid leadership in making decisions regarding the most immediate concerns to be addressed. Ensure that all contract specifications and in-house policies and directives require that tree care operations adhere to current industry and best management practices (BMPs). 1. ANSI A300 Standards for Tree Care Operations. 2. ANSI Z133.1-2012 for Arboricultural Operations Safety Requirements. 3. ISA Series Best Management Practices. 4. The Urban Forester shall be responsible for maintaining and updating these standards in accordance with current industry BMPs, which must be reviewed annually. 5. Continue to develop strong policies for vegetation, wildlife, and natural resource protection. a. Identify wildlife habitat and nesting cavities of endangered and/or protected species. b. Ensure that all tree care operations comply with federal and state wildlife protection requirements. c.	Forests in natural areas should be managed as minimally as possible to preserve wildlife habitat, natural resource value, and creek integrity. 6. Establish a tree risk assessment protocol based on ISA Tree Risk Assessment. Determine thresholds for removal or hazard mitigation and specify response time frames. Action 2: CONDUCT Proactive inspections and maintain publicly managed trees 1. Establish a regular 7-year inspection and maintenance cycle. a. Inspect trees to identify structural and age-related defects, and manage/mitigate risk. b. Perform windshield surveys after storms that include heavy winds or snow that may increase branch loading. 2. Update inventory data when trees are serviced (i.e., pruned or inspected): a. Inspect trees for structural, pest, and disease, then document findings. b.	Verify species. c.	Update condition rating. d.	Update diameter (DBH). 3. Apply principles of plant health care to publicly managed trees. a. Healthy environment (mulch, planter space, soil fertility and volume.) b.	Irrigation. c.	Integrated Pest Management (IPM). Action 3: Supplement stormwater and flood control management strategies to recognize the value of trees and canopy 1. Coordinate with floodplain managers to recognize the important contribution and value of trees and tree canopy in stormwater and flood control management. 2. Coordinate with floodplain managers and GIS staff to analyze and model strategies to supplement stormwater and flood control management. Action 4: Develop a storm response plan 1. Determine areas likely to experience the most storm damage, appropriate staffing levels for storm events, and develop an on-call or emergency schedule. 2. Annually inspect creek basins to identify at-risk trees. 3. Strategically plant trees to reduce stormwater runoff and stabilize creek basin soils. 1. Collect inventory data for city street trees that are publicly managed but not located in a planter strip. 2. Inventory and maintain data on significant trees in open space areas, especially trees in open space boundary areas that interface with residential/commercial properties. Action 2: Create a Planting Plan 1. Use GIS mapping data to identify and prioritize planting sites and to ensure coordination with planned improvements and construction. 2. Develop a Priority Planting Flowchart or Decision Matrix that determines the highest priority planting location, which species to consider, costs of planting, and return on investment to determine where annual planting will result in the best value to the community. a. No single species > 10% of the tree inventory. b. No single genus > 20% of the tree inventory. c.	No single family > 30% of the tree inventory. 3. Classify and prioritize available planting sites based on: a. Landscape objectives and tree density. b. Space and minimum planting setbacks. c.	Soil characteristics. d.	Site constraints and existing infrastructure including hardscape, utilities (above and below ground), bridges, culverts, and irrigation infrastructure. 4. Optimize shade and environmental benefits by planting large stature trees where feasible. a. Require specific canopy goals for parking lots. 5. Identify under-served neighborhoods with lower than average tree canopy, where increasing canopy can provide greater benefits to the health, social, and economic environment of residents. 6. Collaborate with city leadership to develop long-term canopy goals. 7. Revise setbacks to avoid conflicts with infrastructure, sight lines, and utilities. 8. Use census data with canopy change analysis to prioritize planting sites and marketing tactics. 9. Construct pilot projects in partnership with Plano Sustainability & Environmental Education Manager to plant trees strategically to shade buildings, and provide interpretive signage to publicize the energy benefits of trees. Emphasize deciduous trees in areas of surplus summer solar gain. Emphasize evergreen trees in area of surplus winter winds. 10. Develop an annual review and planting schedule based on available planting funds and greatest need. Action 3: Plant The Right Tree in the Right Place 1. 2. 3. 4. Select appropriate species for planting near ADA accessible parking and building entrances (example, no nut-bearing trees that cause accessibility issues to ADA). Identify species for capturing/detaining stormwater, and select trees that will help secure river banks. Partner with tree nurseries to increase the supply and quality of desirable species. Reframe paradigm so that median trees are a resource and are removed as they come near the end of their life cycle for public safety. As current median trees decline, replace with fewer trees. Action 4: Create diverse landscapes that are sustainable in the face of drought and climate fluctuations 1. 2. 3. 4. 5. 6. Incorporate drought-tolerant species into City planting palette. Create water-efficient demonstration landscapes throughout the City. Design urban corridors with water-efficient landscapes. Develop incentives to convert turf on private property. Ensure irrigation timers used to water public landscapes are set according to season and type of plant. Ensure leaks in public irrigation are fixed in a timely manner. Action 5: Identify and plan for threats to the urban forest 1. 2. 3. 4. Incorporate integrated pest management (IPM) practices that take into consideration Plano's current and emerging pests. Create a toolbox to help prioritize biggest issues and what strategies will have the most impact resolving these issues. Continue to emphasize tree species with resistance to drought in regulatory tree lists. Select and plant tree species that do not have the same pest and stress vulnerabilities as the current species. 1. Personalize the website with pictures of the Urban Forestry staff, volunteers, and people from diverse backgrounds involved in urban forestry activities. 2. Update the page by creating new, or providing easier access to, elements including: a. Tree tips/videos. b.	Revamped tree lists. c.	Interactive tree selectors. d.	Provide interactive data representation on Plano Website, (example, MyTreekeeper, Tableau). e.	The Plano list of Certified Arborists for hire. f.	Easy navigation to relevant municipal codes. g.	Links for property owners. h.	Links for business owners. i. Information about volunteer and donation opportunities. j. Links to electric and natural gas utility websites that explain safety and Right Tree, Right Place concepts. k.	Reduce hardscape and utility conflicts. l.	Links to the Recommended Tree Planting List that match tree species to soil and water conditions, available soil volume, and intended use. m.	Links to nonprofits and regional, state, and national tree interests. Action 2: Develop and present outreach activities that increase awareness and knowledge about trees and the urban forest 1. Coordinate with GIS staff for analysis of demographics, consumer expenditures, and tapestry segmentation data to target the best audience and geographic areas for workshops, presentations, and training. 2. Explore and integrate the use of smart phone and tablet applications that support GPS for self-guided tours, tree and urban forest information, games and scavenger hunts that facilitate learning. 3. Seminars covering topics from small-child arts and crafts to homeowner tree care training. Action 3: Rebrand trees as community infrastructure 1. Develop a strong marketing plan for an Arbor Day celebration. Provide educational materials at the event to increase public awareness of Plano's urban forestry program and educate community members about the benefits of trees. Action 4: Develop a summary of the UFMP to serve as an user-friendly educational resource 1. 2. 3. 4. 5. Communicate basics of tree care, including planting, pruning, and irrigation. Quantify benefits of trees and tree canopy, including environmental, social, and economic. Describe urban forest composition, health, and species diversity. Share resources for oak tree mitigation (importance, vision, techniques, tree planting/replacement, seed banking, tree protection requirements, oak wilt mitigation). Present recommendations for tree species for private property. 1. Create a tree co-op, allow public to "time-share" the lot as a co-op. 2. Collaborate with the school system. Elementary campuses have programs to teach children sustainability and campuses provide an opportunity for additional tree outreach. a. Educate the community about the benefits of trees on school campuses (increasing canopy reduces building energy costs, ADD, test Scores, lower child asthma, etc.). Demonstrate these benefits by increasing canopy where possible. 3. Target community and neighborhood meetings to engage large stakeholder populations and stimulate interest in urban forestry. Hold these meetings at times where attendance is likely to be maximized (ex: evenings, during summer vacation, etc.). 4. Collaborate and partner with nonprofit and neighborhood groups for tree replacement and improvements to streetscapes. 1. Develop outreach and incentives for increasing tree planting on corporate campuses. 2. Connect local corporate partners with regional urban forestry nonprofits to fund projects to benefit Planoâ&#x20AC;&#x2122;s urban forest. their bicycles to trees. The campaign included an updated website with information on tree benefits and growth and the low-security of attaching bikes to trees. In addition, advocates printed out educational door knockers and distributed them on cycles which were attached to trees in Pittsburg. The campaign appealed to both the civic duty of not harming public trees, and self-interest in avoiding fines. Action 1: Update existing planning documents to align with UFMP goals 1. Revise Parks and Recreation Master Plan to reference and recognize the UFMP 2. Ensure that city planning documents and design specifications reference the UFMP Tree Care Standards and include consideration for the establishment of public trees, including planting site soil volume that supports tree maturity. 1. Collaborate with other departments early and often for projects involving trees. 2. Develop and deliver an annual state of the urban forest report. a.	Update citizens on the overall condition of the community urban forest. b. Highlight services: i. Number of trees planted, inspected, pruned, removed. ii. Service calls responded to. iii. Consumer feedback. c.	Update the community on progress towards canopy goals. d.	Update the community on accomplishment of UFMP objectives. 3. Create a tree board of forestry and planning professionals that consists of key staff from various departments as well as stakeholders external to the City. Collaborate to determine the best way to enforce policies and UF protocol, and build a process for review and revision of policies and standards, BMPs standard operating procedures, etc. 4. The Urban Forester shall coordinate with electric, natural gas, and environmental utility providers, and with City planning and development. a. Work with utility providers and contractors to develop a management policy and standards for trees in utility easements. b. Require that tree pruning in utility corridors shall adhere to ANSI A300 Integrated Vegetation Management Part 7. c.	Collaborate with utility providers to develop a vegetation management policy and standards for managing trees in utility easements. i. Where possible, use utility-friendly species that mature at desirable heights. ii. Revise and update Tree Planting Standards as necessary. 5. Distinguish categorical issues and priorities for trees in parks, medians, athletic areas or on public grounds. Action 3: Participate in regional planning for the urban forest 1. Work with regional and state forestry groups to develop regional carbon sequestration goals. 2. Promote the importance of trees and urban forests in local and regional planning and policy development for addressing issues of air quality and climate change. 3. Work with regional forestry groups to develop (and update) fees and mechanisms for tree replacement. 1. Align mature tree stature with available soil volume, plant small-stature trees in small tree wells and large-stature trees where soil volume allows. 2. Replace specifications for mowed turf in immediate proximity of the tree trunk with a mulch bed (minimum 3ft radius, minimum 3 inch depth, maintained clear of the trunk 6 inches) for future plantings in public parks. Require a mulch bed for all new plantings and encourage the removal of turf and addition of mulch near existing trees. 3. Install structural cells in order to increase soil volume where possible. Provide education about how structural cells can be installed without creating a utility conflict. 4. Implement trials of tree site changes such as the addition of mulch and drought-tolerant ground cover in city-maintained areas to reduce mowing maintenance. Action 1: Match funding to desired level of service for urban forestry management 1. Reassess the City's urban forestry program budget in terms of achieving street tree and UTC planting goals, the recommended 7-year preventive maintenance cycle, and young tree maintenance programs. 2. Each major entity providing services should accurately account for urban forestry-related income and expenses. Action 2: Identify existing and new opportunities to allocate funds in order to expand and grow urban forestry programs 1. Collaborate with Department of Neighborhood Services to develop a long-range plan and timeline for the implementation of grant funds. 2. Develop a program that provides and maintains trees for lower income areas. Develop a planting training program and a stewardship plan to train community members to care for their trees and to foster their investment in urban forestry. 3. Explore funding partnerships with the Texas Department of Transportation. 4. Each major entity providing urban forestry services should perform a cost-benefit analysis to inform future management decisions that maximize benefits. Action 1: Train all contractors and in-house crews engaged in tree care operations with most current industry standards 1. Every employee needs to be trained once every two years. To compensate for high turnover, in-depth training programs will be held bi-annually, and condensed tailgate trainings will be held monthly. 2. Provide uniform training and education, especially for structural pruning. 3. Determine and devote a percent of the contract budget for training. 1. Parks should not maintain trees without consulting Park Support Field Technician Supervisor and Urban Forester. Action 1: Optimize data input and database utility in urban forestry management 1. Provide training for staff and contractors on field applications for inventory updates to promote accuracy, timeliness, and quality control. 2. Use GIS mapping data to identify and prioritize planting sites and to ensure coordination with planned improvements and construction. Priorities include: shade, equity, benefits, stormwater, air pollution. 3. Train staff in the use of the US Forest Serviceâ&#x20AC;&#x2122;s public software application: i-Tree Storm to quantify damage and quickly apply for FEMA reimbursement. 4. Explore GIS coordination for work planning (e.g., budgeting, scheduling, and routing). 5. Integrate existing software (Cartegraph, core business matrix, GIS, etc.) into one hierarchy. Case Study: Fort Worth, Texas Fort Worth, like most communities, has a largely reactive maintenance organization to mitigate risk. Currently proactive cycles of maintenance on trees are outside the budget. The forestry department must balance these challenges with the fact that the city handles maintenance for golf courses, ROW, and all other public trees. As an effective compromise, scheduled maintenance does occur at big focal points. One example includes scheduled tree maintenance for parking lot trees at the Fort Worth Zoo, which hosts many special events which attract large crowds. Because of Fort Worth's reputation as a premier golf destination, areas around the Colonial Country Club and golf courses are also regularly maintained. Trinity Park, adjacent to the Fort Worth Zoo, hosts large annual events such as Mayfest, and also receives scheduled maintenance. Key Findings These goals provide actionable steps that can be completed and recorded to demonstrate tangible progress. The goals range in complexity, time to completion, and financial cost. With dedication and strong leadership, it is possible to achieve these goals and fully realize the potential of the Plano urban forest. Monitoring and Measuring Results The UFMP includes goals and actions for measuring the success of planning strategies. It is intended that the Plan serves as a living document. As new information becomes available, the UFMP should be updated accordingly. Annual Plan Review The UFMP is an active tool that will guide management and planning decisions over the next 25 years. The goals and actions will be reviewed annually for progress and integration into an internal work plan. The UFMP presents a long-range vision and target dates are intended to be flexible in response to emerging opportunities, available resources, and changes in community expectations. Therefore, each year specific areas of focus should be identified. This can inform budget and time requirements for Urban Forest Managers. failures. However, perhaps the greatest measurement of success for the UFMP will be its ability to meet community expectations for the care and preservation of the urban forest resource. Community satisfaction can be measured through surveys as well as by monitoring public support for realizing the goals and actions of the Plan. Community satisfaction can also be gauged by the level of engagement and support for urban forest programs. An annual survey of urban forest stakeholders will help managers ensure activities continue to be aligned with the communityâ&#x20AC;&#x2122;s vision for the urban forest. Resource Analysis The structure, replacement value, and tree benefits were estimated in 2015. This data will allow urban forest stakeholders to observe changes to tree conditions, species diversity, benefits, and overall resource value. This analysis should be completed every 10 years to illustrate progress and measure success towards UFMP goals. Canopy Analysis Canopy changes can occur gradually, or suddenly as a result of emerging pests, significant storm events, or development. Using GIS analysis, managers can measure and illustrate changes in canopy cover and land classes. This information can be used to inform canopy goals and monitor attainment. A canopy study should be conducted every 10 years, or after major canopy-impacting events. about any issues or stumbling blocks. This information can be integrated into urban forest managersâ&#x20AC;&#x2122; Annual Reports and used to pursue additional project support and funding. Revisions Completion of this plan is the first step towards achieving the vision for the Plano urban forest. Continual monitoring, analysis, and revisions will help forest managers keep stakeholders informed and engaged. By organizing data into specific components (for example; Urban Forest Reports, Community Satisfaction Surveys), it will be possible to revise specific areas of weakness, and buttress areas of strength. Revisions to the plan should occur with major events, such as newly discovered pests or diseases, or significant policy and regulation changes. A complete formal revision should occur in unison with major municipal projects such as the comprehensive master plan. It is important to remember that the Plano Urban Forest Master Plan is a living document that should adapt to new conditions. Key Findings To build and maintain support for the plan, urban forest partners and decision makers must be kept aware of the successes and challenges throughout the process. Tools like the state of the urban forest report will facilitate community outreach and influencing policy makers. Plano has a strong and proud tradition of park stewardship and environmental accomplishment. Tapping into that civic pride will be a valuable resource in the continued development of Planoâ&#x20AC;&#x2122;s excellent urban forest. How Are We Doing? stormwater runoff, and naturally cooling temperatures so that parklands may be enjoyed during the hot summer months. On top of the annual benefits, the urban forest currently stores 1.2 million tons of carbon, which is valued at $44 million. It is vital to understand that increased leaf surface area leads to increased environmental benefits. Therefore, to produce more benefits for Plano, tree canopy must be increased. While Plano is making great progress towards increased urban tree canopy, there is still a gap between current canopy cover and potential canopy cover. Citywide, Plano has only 21% tree canopy as compared to Dallas, which has 33% overall tree canopy. One important way to increase Planoâ&#x20AC;&#x2122;s overall tree canopy is to plant trees in parks and open spaces. Parks offer space to plant, along with irrigation and maintenance resources. Currently, Plano parks and open spaces have 33% tree canopy with the capacity for up to 60%. In 2018, Plano will celebrate their 30th year as a Tree City USA, an annual recognition from the Arbor Day Foundation. The history of community support for trees in Plano is strong. Respondents communicated loud and clear, through the online survey and community outreach meetings, an appreciation of trees and a desire to provide and protect this vital community resource. Trees provide much more than beauty in Plano, they are fundamental to the character of Plano as the City of Excellence. New trees must be planted to replace those that are lost overtime to the stresses that exist in urban environments and to increase the overall tree canopy to create a more livable environment for Plano citizenry. 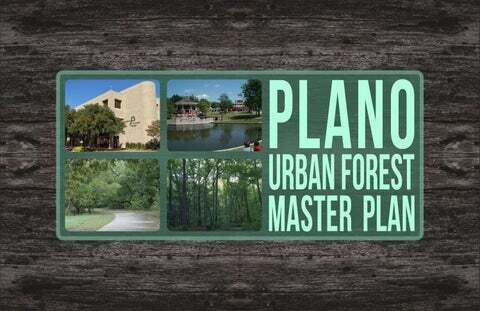 The actions and strategies provided in this UFMP provide a clear path towards realizing Planoâ&#x20AC;&#x2122;s urban forestry goals. With sufficient resources, clear direction, and Texan work ethic, Plano is poised to realize the full potential of its urban forest. Appendix Carter, T. and Fowler, L., 2008. Establishing green roof infrastructure through environmental policy instruments. Environmental management, 42(1), pp.151-164. Clark JR, Matheny NP, Cross G, Wake V. 1997. A model of urban forest sustainability. Journal of Arboriculture 23(1):17-30. Clarke, Stephen R.; Nowak, J.T. 2009. Southern Pine Beetle. Forest Insect & Disease Leaflet 49. United States Department of Agriculture, Forest Service. 8 p. Can be accessed through: http://www.fs.fed.us/r6/nr/fid/fidls/fidl-49.pdf Davidson, K., A. Hallberg, D. McCubbin, and B. Hubbell. (2007). Analysis of PM2.5 Using the Environmental Benefits Mapping and Analysis Program (BenMAP). Journal of Toxicology and Environmental Health, Part A 70(3): 332-346. Energy Information Administration, 2003, Emissions of Greenhouse Gases in the United States 2003. http://www.eia.doe.gov/oiaf/1605/ggrpt/ Energy Information Administration. 1994 Energy Use and Carbon Emissions: Non-OECD Countries DOE/EIA-0579. Energy Information Administration. 2001. Total Energy Consumption in U.S. Households by Type of Housing Unit. http://www.eia.doe.gov/emeu/recs/contents.html. Forest Health [Accessed June 30, 2016] www.foresthealth.info for 2006-2010. Graham, R.L., Wright, L.L., and Turhollow, A.F. 1992. The potential for short-rotation woody crops to reduce U.S. CO2 Emissions. Climatic Change 22:223-238. Anderson, L.M. ; H.K. Cordell. 1988. “Influence of trees on residential property values in Athens, Georgia (U.S.A.): a survey based on actual sales prices.” Landscape and Urban Planning. (15) 153–164. Asadian, Y., and M. Weiler. 2009. “A New Approach in Measuring Rainfall Intercepted by Urban Trees in Coastal British Columbia.” Water Quality Research Journal of Canada 44:16–25. Blackhurst, M., Hendrickson, C. and Matthews, H.S., 2010. Cost-effectiveness of green roofs. Journal of Architectural Engineering, 16(4), pp.136-143. Hirabayashi, S., C. Kroll, and D. Nowak. 2011. Component-based development and sensitivity analyses of an air pollutant dry deposition model. Environmental Modeling and Software 26(6): 804-816. Heisler GM. 1986. Energy Savings with Trees. J Arbor 12(5):113–125. Houck, J.E. Tiegs, P.E, McCrillis, R.C. Keithley, C. and Crouch, J. 1998. Air emissions from residential heating: the wood heating option put into environmental perspective. In: Proceedings of U.S. EPA and Air Waste Management Association Conference: Living in a Global Environment, V.1: 373-384. Mielke, M.E. and Daughtrey, M.L. How to Identify and Control Dogwood Anthracnose. NAGR-18. United States Department of Agriculture, Forest Service, Northeastern Area. http:// na.fs.fed.us/spfo/pubs/howtos/ht_dogwd/ht_dog.htm Miller, R. W. 1988. Urban Forestry: Planning and Managing Urban Greenspaces. New Jersey: Prentice Hall. National Oceanic and Atmospheric Administration (NOAA). [Accessed 10 June 2016] http:// www.crh.noaa.gov North American Electric Reliability Corporation. (NERC). Transmission Vegetation Management NERC Standard FAC-003-2 Technical Reference. 2009. http://www.nerc.com/docs/ standards/sar/FAC-003-2_White_Paper_2009Sept9.pdf Northeastern Area State and Private Forestry. 1998. HOW to identify and manage Dutch Elm Disease. NA-PR-07-98. Newtown Square, PA: U.S. Department of Agriculture, Forest Service, Northeastern Area State and Private Forestry. http://www.na.fs.fed.us/spfo/pubs/howtos/ ht_ded/ht_ded.htm Northeastern Area State and Private Forestry. 2005. Forest health protection emerald ash borer home. Newtown Square, PA: U.S. Department of Agriculture, Forest Service, Northeastern Area State and Private Forestry. http://www.na.fs.fed.us/spfo/eab/index.html Northeastern Area State and Private Forestry. 2005. Gypsy moth digest. Newtown Square, PA: U.S. Department of Agriculture, Forest Service, Northeastern Area State and Private Forestry. http://na.fs.fed.us/fhp/gm Nowak DJ, Greenfield EJ, Hoehn RE, Lapoint E. 2013 Carbon Storage and Sequestration by Trees in Urban and Community Areas of the United States. Environmental Pollution 178: 229-236. Plano Department of Urban Foresty. 2007. Public Tree Inventory. Plano Department of Urban Forestry, Davey Resource Group Tomorrow. 2016. Urban Tree Canopy Assessment. Ulrich RS. 1986. Human Responses to Vegetation and Landscapes. Landscape and Urban Planning 13: 29-44. Ulrich, R.S. 1984. View Through A Window May Influence Recovery From Surgery. Science 224:420-421. Porsche U, Köhler M. 2003. Life cycle costs of green roofs: A comparison of Germany, USA, and Brazil. Proceedings of the World Climate Energy Event; 1-5 December 2003, Rio de Janeiro, Brazil. Williams E, Lotstein R, Galik C, Knuffman H. 2007. A Convenient Guide to Climate Change Policy and Technology. Vol2: 134. Preservation Tree Services, Plano Parks and Recreation Department. 2014. Plano Urban Forest Ecosystem Analysis. https://www.itreetools.org/resources/reports/Plano_Urban_Forest_ Ecosystem_Analysis_2014.pdf [Accessed May 10, 2016] Ross, R, P.M. Janiszewski. 2008Is weight loss the optimal target for obesity-related cardiovascular disease risk reduction? The Canadian Journal of Cardiology 24 (Supplement D) 25D-31D. Wolf, K.L. 2007. The Environmental Psychology of Trees. International Council of Shopping Centers Research Review. 14, 3:39-43. Xiao, Q., McPherson, E.G., Simpson, J.R., Ustin, S.L. 1998. Rainfall Interception by Sacramento's Urban Forest. Journal of Arboriculture. 24(4): 235-244. Tree growth is limited by soil volume. Larger stature trees require larger volumes of uncompacted soil to reach mature size and canopy spread (Casey Trees, 2008). General relationship between soil volume requirements and mature tree size (James Urban, various sources, 1992). Above: Above: Bioswales are landscaped drainage areas with gently sloped sides designed to provide temporary storage while runoff infiltrates the soil. They reduce off-site runoff and trap pollutants and silt. Stormwater tree pits are designed to collect runoff from streets, parking lots, and other impervious areas. Stormwater is directed into scuppers that flow into below-grade planters that then allow stormwater to infiltrate soils to supplement irrigation. Structural soil is a highly porous, engineered aggregate mix, designed for use under asphalt and concrete as a load-bearing and leveling layer. The created spaces allow for wate infiltration and storage, in addition to root growth. Suspended sidewalks use pillars or structured cell systems to support reinforced concrete, increasing the volume of uncompacted soil in subsurface planting areas and enhancing both root growth and stormwater storage. Above: Permeable pavements allow stormwater and oxygen to infiltrate the surface, promoting tree health and groundwater recharge.